Historic David Livingstone Memorial Church is the first Presbyterian planted in the country of Zambia and the mission headquarters of ROCK of Africa Mission. David Livingston Memorial Church is an member of the Uniting Presbyterian Churches of Southern Africa. Our name honors the legacy of missionary pioneer Dr. David Livingstone, who first brought the Gospel here in 1854. 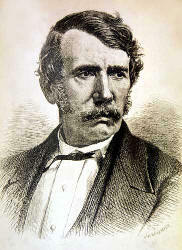 David Livingstone loved Zambia. He died in Zambia, and as he requested, his heart is buried in Zambia, although his body lies in London at Westminster Abbey. The same passion for Zambia, its people and our Lord still resides in this flagship church. We welcome you to join us. David Livingstone Memorial Presbyterian Church is an exciting gathering of Christ followers featuring inspired teaching, great fellowship and dynamic contemporary worship. Many opportunities be part of the excitement! © 2001-2015 ROCK of Africa. All Rights Reserved.